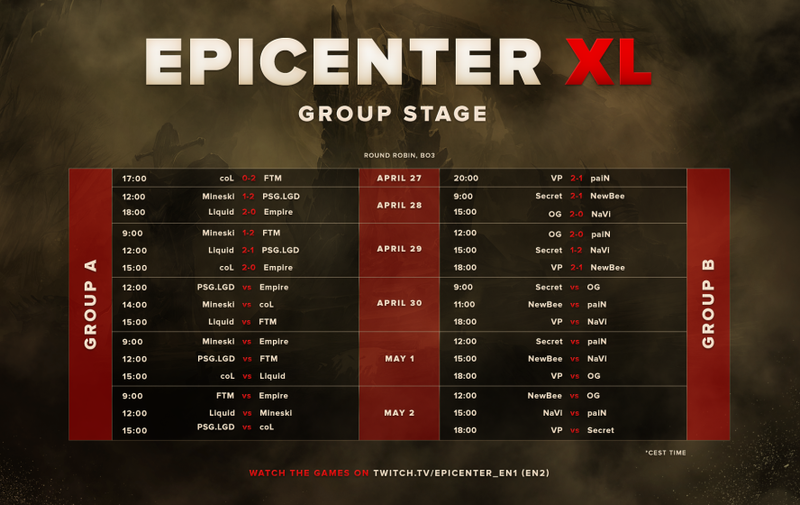 The schedule for EPICENTER XL group stage matches. The group stage will be held from April 27 till May 2. In the group stage, you can look forward to an exciting marathon of 30 gorgeous matches. See you on our streams with player's emotions!